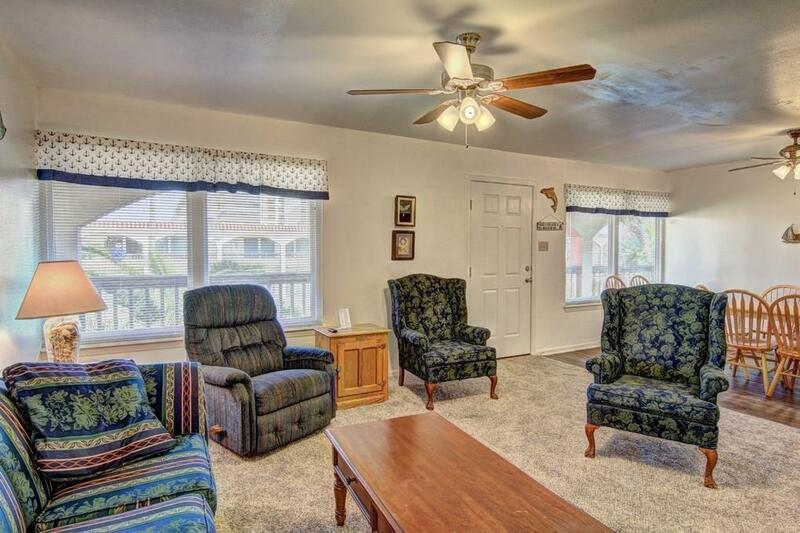 Second story, 2 bedroom, 1 bath Surfside vacation condo. 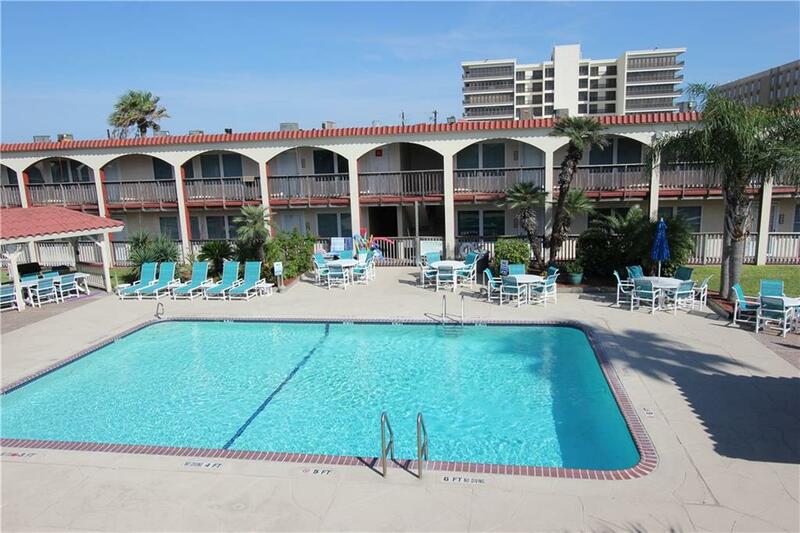 Complex is right across the street from the beach parking lot and the beach on North Padre Island! Condo comes completely furnished with appliances and dcor. Colorful beach and nautical decorations. Queen bed in master and twin beds in guest room. 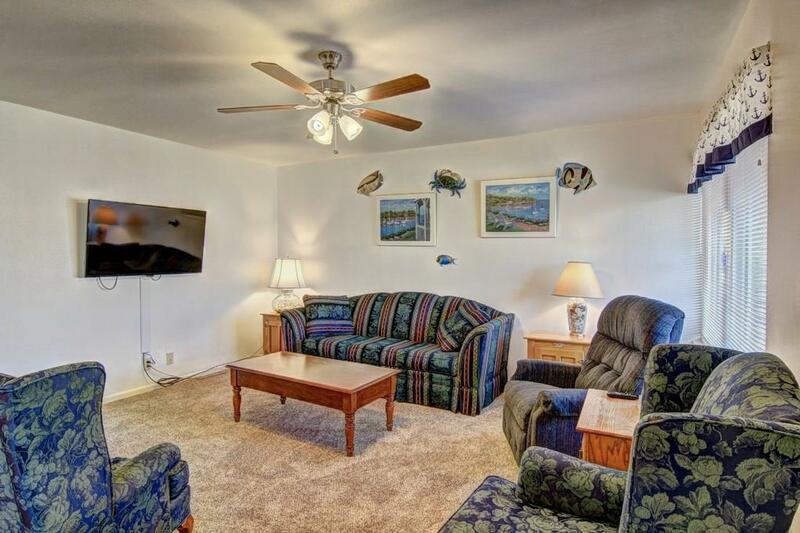 Comfortable couches and chairs, and big screen TV in the living room. Wood look vinyl flooring in the kitchen and dining room, and carpet in the living room and bedrooms. Wood table and chairs in the dining room. Shower/tub combination in bathroom. Seller is offering a $1000 paint/decorating allowance. Surfside has a tropical pool area with covered BBQ area, and grassy area, too. HOA just $525 per mo. includes exterior ins. and all utilities except electric. 2018 taxes $2648. Short term rentals are allowed. Surfside is now using Padre Escapes to manage the condo and rentals. On site coin laundry. 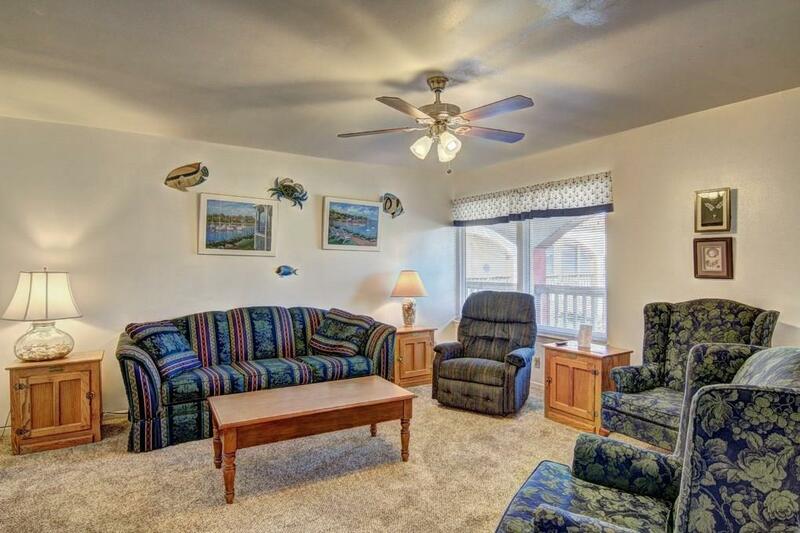 Nice vacation condo to rent out or live full time!